A lot of experts say that the memory foam mattress is a technological innovation that has changed the way we sleep. This is because it no longer uses the spring coil which has been the convention for so many years. But besides that, there are still other facts about the memory foam mattress you should know. Let's Know the Some History Facts About the Memory Foam Mattress. Memory foam was developed in 1966 under a contract by NASA's Ames Research Center to improve the safety of aircraft cushions. Ames scientist Chiharu Kubokawa and Charles A. Yost of the Stencel Aero Engineering Corporation were major contributors to this project. 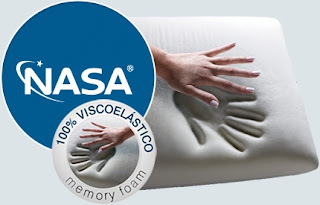 The temperature-sensitive memory foam was initially referred to as “slow spring back foam”; Yost called it "temper foam". Created by feeding gas into a polymer matrix, the foam has an open-cell solid structure that matches pressure against it, yet slowly springs back to its original shape. The memory foam mattress was initially developed in the 1970's for use of by astronauts to help them deal with the enormous G-forces they encounter during liftoff and re-entry in the earth's atmosphere. But this project was not successful and in the 1980's, people discovered another means for it and it was designed for sleeping. With that you can say that the memory foam mattress you see today is not a product of NASA but rather its by-product. This product was only launched in the market in the early 1990's. Initially, the public did not really take notice of it because it was very expensive and also because it was very difficult to manufacture. In the years that followed, companies were able to develop it at a lower production cost and many of these were initially used as hospital beds. From the memory foam mattress, companies produced other products to compliment it while the rest were used for other purposes. Examples of these include mattress toppers, pillows, office furniture, automobile seat padding, infant cribs, car seats, wheelchair cushions, hip pads, sweat pads, computer cases, movie theater seating, pistol gloves, ear plugs and tennis racquets. The big difference between the regular foam and that of memory foam is the structure. Regular foam mattresses are made of up closed cells which are billions of balloons tightly squeezed together with little air between them. Heat is trapped because there is no way for it to escape. Memory foam mattress on the other hand is made of open cells that are billions of balloons with holes in them. This allows warm air to escape so it is not warm when you sleep on it. If the regular foam mattress forces you to adjust to the structure, the memory foam doesn't because it conforms to your body so it relieves pressure points and at the same time supports your weight. Another feature of the memory foam mattress is that once you get off, it will go back to its original shape because it is designed to spring back in the direction of the pressure. The conventional foam mattress tries to do that but it can't because it springs back upward and downward. Memory foam mattresses are generally softer than conventional foam mattresses when you lie down on the bed but after a few minutes, it reacts and adjusts to your body. This is because the top layer softens around your body while the rest remains cool and firm giving you good support. This type of mattress is also temperature sensitive which means it could be too soft during high temperatures. This does not mean that there is a defect in the product but this is how it really is. For those who live in such climates, getting a thicker foam mattress is enough to do the trick. you. The only thing to do now is choose the right size that fits your bed frame and then wait for it to be delivered to your home.